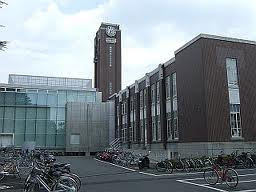 The Japanese Government (Monbukagakusho) offers a 2012 scholarship for admitted Ph.D. course students who wish to engage in research on Informatics, mainly in English, at the Graduate School of Informatics, Kyoto University. Applicants must choose one of the above as their majoring field when applying for this program. Eight successful applicants will be admitted. (1) Eligibility: Applicant must be from a country with which Japan has official diplomatic relations, and must be currently studying/working outside of Japan. Those who are currently staying in Japan are not eligible for this program. (2) Age: Applicant must be under 35 years of age as of April 1, 2012. (3) Academic qualifications: Applicant must satisfy one of the following conditions by the end of September 2012.
i. Holds a master’s level degree. ii. Has completed 16 years of school education in a foreign country and subsequently spent at least two years conducting research in a university, research institute, or other such facility, and is recognized through research achievements as having scholastic ability on a par with or higher than that of a person who has completed a master’s degree at a graduate school in Japan. iii. Is recognized by the school, on the basis of individual screening of application, as having scholastic ability on a par with or higher than that of a person with a master’s degree, and is at least 24 years of age. Each applicant must be officially recommended to the president of Kyoto University by the president of the university or the dean of the faculty/graduate school of the university from which the applicant has graduated. Said university must meet the conditions mentioned in (3). In addition, any applicant who is currently working must submit an official letter of recommendation written by the head of the employing organization. Applicant must be physically and mentally healthy enough to carry out studies at Kyoto University. Applicants must be competent in English. i. Each admitted student must arrive in Japan between October 1 and October 7, 2012.
ii. Any applicant who is affiliated to any military entity at the end of March 2012 is ineligible. iii. Any applicant who receives scholarship money from his/her government, or from any other foundation, will not be accepted. Approximately 156,000 yen per month. This will be provided for a maximum of 36 months, but will not be paid in cases of extended leave from academia. An economy-class air ticket between the international airport closest to the admitted student’s home address and Kansai International Airport will be provided. An economy-class return air ticket home from Japan will be offered on condition that the admitted student will be leaving Japan within the last-payment month of the scholarship. Entrance and tuition fees will be waived. The Graduate School of Informatics, Kyoto University, examines the documents submitted and makes a preliminary selection. Those selected are recommended to the Japanese Government for the 2nd stage selection. Results of this selection will be conveyed to the applicants by the end of April 2012. The Japanese Government examines the applications recommended by Kyoto University and decides on the final candidates for the Japanese Government (Monbukagakusho) Scholarship. Applicants will be informed of the final decision by the end of August, 2012. The Graduate School of Informatics, Kyoto University, will send certificates of admission to the successful applicants at this time. (2) Application for Japanese Government (Monbukagakusho) Scholarship. (3) Certificate of Health issued on or after October 1, 2011. (4) Copy of official family register or equivalent document indicating nationality. (May be a photocopy of applicant’s passport). (5) Copy of Bachelor’s and Master’s Degree certificates, diplomas or equivalent certificate, indicating expected date of graduation. (6) Official undergraduate and graduate level academic records/transcript. (7) Recommendation letter written by dean of applicant’s graduate school, addressed to president of Kyoto University. (8) Recommendation letter written by applicant’s graduate or undergraduate supervisor, or person of equivalent standing. (9) If applicant is currently working: a recommendation letter written by head of employing organization. (10) Research plan of activities at Kyoto University (3 pages or less, A4 size). (11) Name of prospective supervisor at Kyoto University, whom applicant contacted through his/her supervisor. (12) List of scientific publications. (13) Brief description of academic achievements (3 pages or less, A4 size). (14) Copy of Master’s Thesis (or its equivalent). If thesis is not in English, translation or summary should be prepared in English and attached. All above documents, excepting copy of applicant’s Master’s Thesis, must be in English. (1) Before applying, applicants should contact their prospective supervisor at Kyoto University through introduction by their supervisor at home university If there is anything unclear about qualifications for application to this program, applicants should consult School Affairs Division (See 7. CONTACT INFORMATION below). (2) Applications for Japanese Government (Monbukagakusho) Scholarship may not be submitted to multiple academic/research institutions. (3) Admission may be revoked if application is found to include false information. i. There has been a breach in the pledge to the Japanese Government (Monbukagakusho). ii. Student has been subject to disciplinary action, or has been deemed unproductive. (5) Applicants are urged to read up on and understand Japanese customs, climate and general life. In addition, although research activities will be in English, basic Japanese should be learned for daily interaction. (6) Applicants are expected to submit a TOEFL or TOEIC score if available. If documents demonstrating applicant’s English skill (such as TOEFL or TOEIC score) can’t be submitted, English skill will be evaluated via interview, English publication paper written by applicant etc. Demikian kami sampaikan tentang International Doctoral Scholarships in Informatics, Kyoto University, Japan semoga informasi tentang International Doctoral Scholarships in Informatics, Kyoto University, Japan ini bermanfaat.